Last week, Mr Innocent "2Face" Idibia walked down the aisle with his long time partner Annie Macaulay in Dubai, UAE in the company of friends, colleagues from the music circuit and other well wishers. Ever since then, a storm has managed to brew over the gifts received from the Senate president and even the choice of the venue. It was reported that the Senate President of The Federal Republic of Nigeria, David Mark had decided to bestow on the union of his tribesmen, a gift of a Ferrari sports cars valued over N40 million. Such news didn't go down well with many Nigerians, with this show of opulence whilst Nigerians who they swore to serve live in penury. The lawmaker and his colleagues had recently thrown out a bill that sought to create a welfare fund for unemployed graduates, the bill had proposed that these unemployed graduates should be giving a token of 20,000 Naira every month, but the lawmakers who earn more than ten times what their counterparts in first world countries such as the United States of America due to shortage of funds. Then why would such a person turn around to give away large sums of money in gifts to just one individual, in developed countries it is unheard of elected officials being so generous with money like Nigerian officials do. And then there was another uproar about The choice of venue, many had questioned why the star would choose to have his wedding in Dubai, denying Nigerians that had supported him through his career, a chance to partake in his wedding. I can understand the grievance of the car gift but not the choice of the venue. 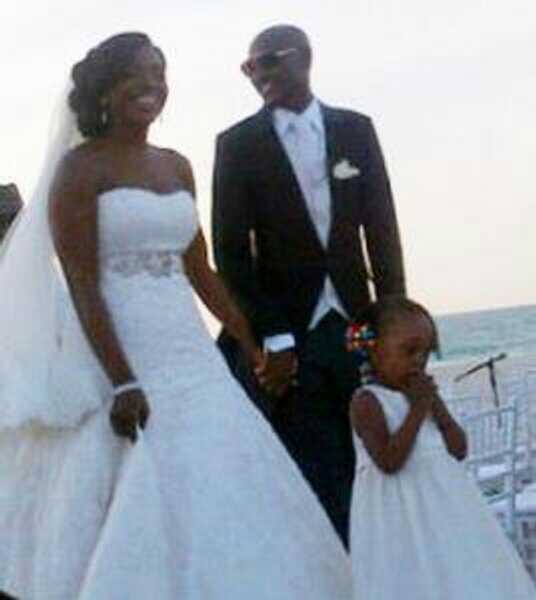 The author of the article that referred to 2 Face as a wicked man clearly forgot that the same 2Face had a Traditional wedding in Akwa Ibom state.
. My the headaches over the wrong thing, if there is anything that needs addressing it would be the gifts by people in government, it's high time that these people realize that the money in the federal or state accounts is not theirs to use at the wimp. And thats what the people of Nigeria should fight to correct. Elected officials are there to manage our resources on behalf if the people of Nigeria and use it to develop our country, provide basic amenities such as water, good roads, electricity. And not use it to fulfill their fantasies. So my people my people instead of us expending our energy in meaningless pursuits, we should better utilize it to make sure that we can answer "Yes" to questions like "Have you eaten today? ", Do you have constant electricity? ", "Is there a road leading to your village? ", "Do you have running water in your house? ", "Do you have good healthcare?"